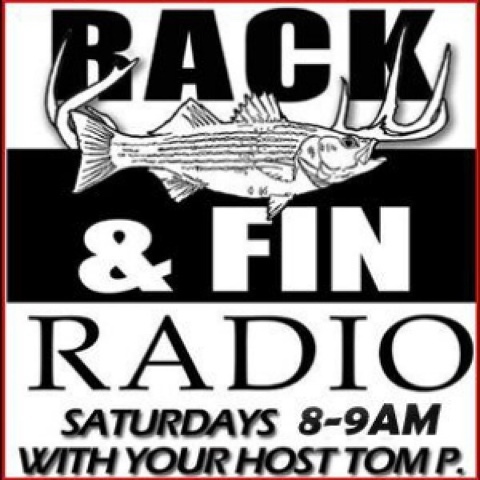 Don't forget we will be on rack and fin radio tomorrow morning talking about the south jersey striper slam. 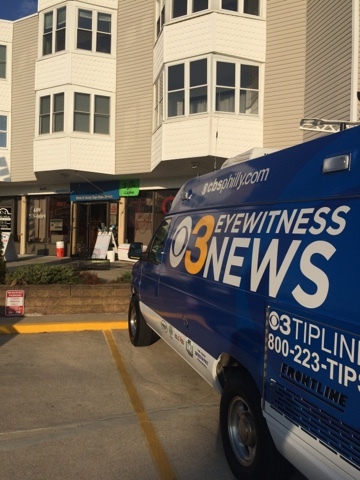 Check out Channel 3 CBS Eye Witness news tonight at 6. 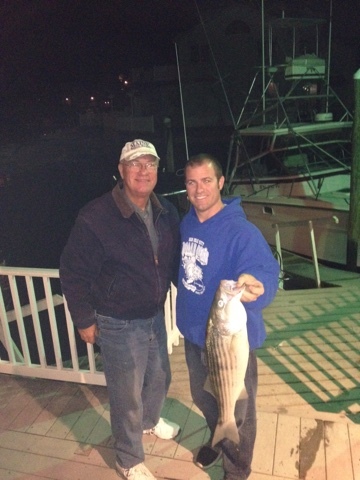 Captain Joe Hughes and I met with a reporter today to talk fishing, stripped bass and the economic impact on the South Jersey area. 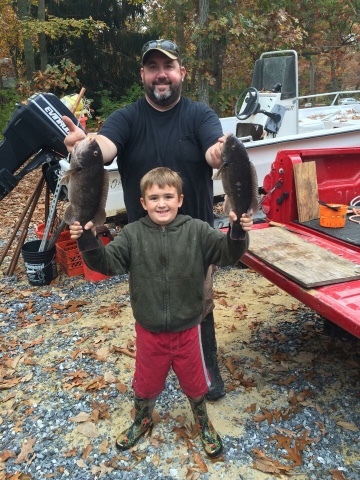 Brian and Owen stopped by early this morning they where headed out looking for some Tog and they found them. 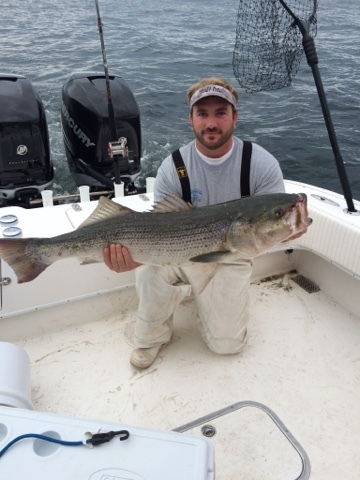 The Tog bite has been great lately granted the limit is only 1 fish at this point but there are few fish More fun to catch!!! 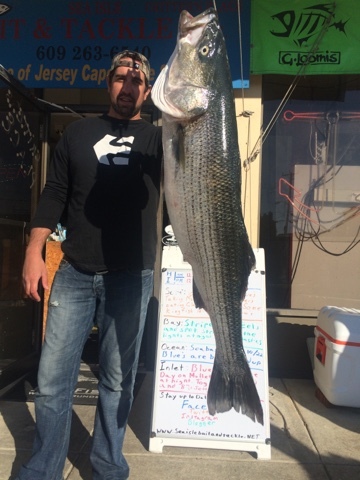 This report just came in from Mark quote " 6 spot.. 6 fish up to 28 1/4 inches. 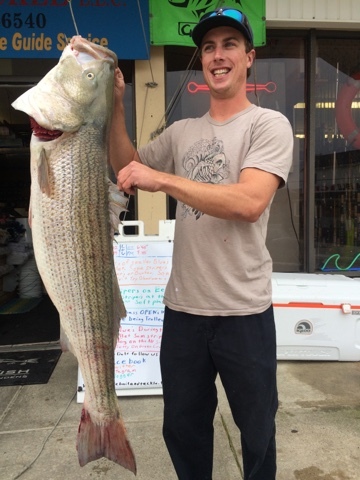 Ran outta bait in 3 drifts" "Those spot are worth every penny" he has been doing great in the back bay of Sea Isle City the second pic is from the weekend. 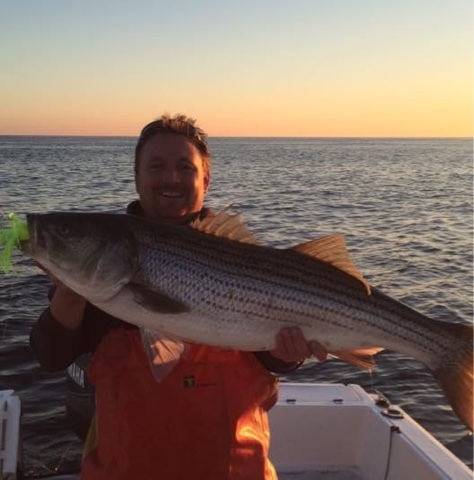 The big stripers continue to bite. 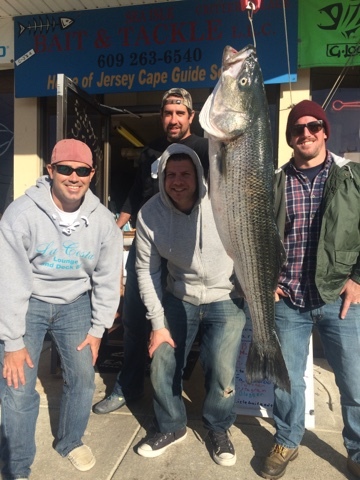 Mark, Tom, Tom and Scott just came in to show off this 33 Lb'er they landed this morning wile trolling a stretch around the Sea Isle Lump. They had another hit on an umbrella rig but unfortunately lost that one. Good work gentlemen. 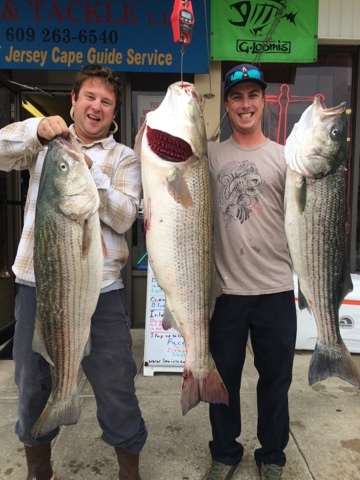 Sean and kris got on the big ones today the largest of the 3 was 49.1 pounds 49 inches the 2 "smaller" ones where 41inches. They got them wile trolling. 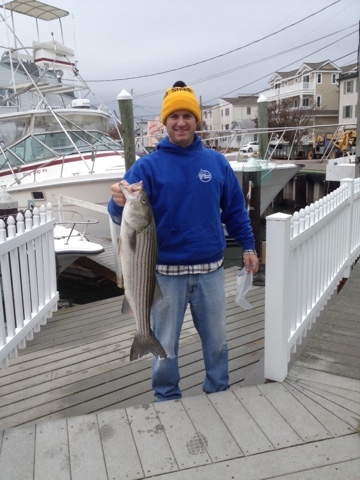 The weather looks Great tomorrow so go Vote then go striper fishing.